Privacy screens are a fantastic option for any backyard. They are quick and easy to install, you have unlimited design options, and you’ll enjoy more privacy while still adding a stylish element to your home. 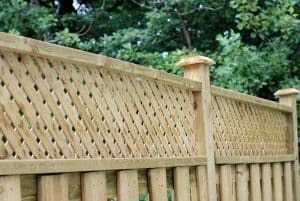 Privacy screens don’t just block your backyard from the eyes of your neighbours; they also allow you to create divisions and contrasts in your backyard. You can opt for any number of materials for your screen. You can choose stone for natural variation, timber for warmth and blend, or steel for an industrial and ultra-low maintenance option. Whatever material you choose, you’re in the best possible hands with Everlast Services. We’ve been working in landscaping for over 20 years, we know what works with your backyard, and we’ll be with you every step of the way – from design to installation. The best part is, we can provide you with a beautiful privacy screen at a reasonable price because we manufacture our own materials and we have developed fantastic relationships with local suppliers. We are a community-minded operation. We’re a family-run company that is 100% Australian owned and operated and always will be. We give back to the local community wherever we can, by taking our supplies from locals and trying to put the money our customers spend with us back into our local economy. Part of being community-minded is opening up our services to as many people as possible. To do this, we keep our prices low. We don’t believe that quality should be expensive, so we take the savings we make from manufacturing our own goods and apply them to our quotes. So don’t worry about the cost of your privacy screen, give us a call, we bet you’ll be surprised at the quote. When it comes to contracting someone to look after your backyard, you need experience. 20-years in the industry has given us an intimate knowledge of what works and what doesn’t. You’ll always be in control over the design, but we’ll be there to lend our expert opinion and ensure you end up with the perfect privacy screen. Are you just looking for a privacy screen? Or, do you want the full home improvement service? If you do, you’ll be pleased to know that we can look after every aspect of your home improvement and backyard beautification project. As well as privacy screens, we also offer a comprehensive range of landscaping, paving, decking and concreting services.